An elegant solution to a grade differential between the house and the outside. 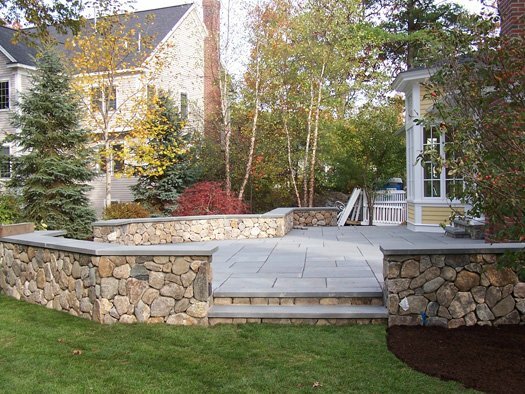 Rather than add a deck, this family in Natick, Mass wanted to have a raised stone patio. The surface is a thermal bluestone which is surrounded by a fieldstone wall capped with bluestone. The walls double as seating walls as well as retaining walls. 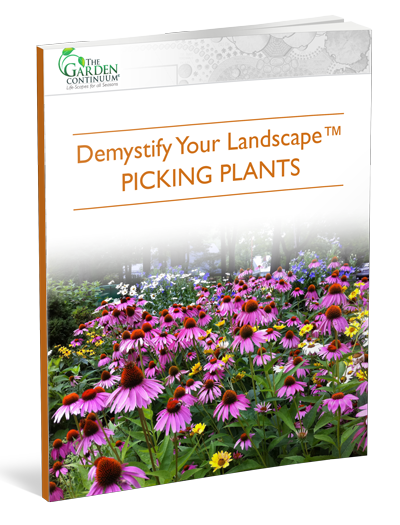 Picking Plants is here to help you avoid falling into the pretty plant trap!